As United States residents, it’s important for everyone – children and adults – to know about the world around them. History, geography, politics and economics are topics that we deal with on an everyday basis. Stories about the weather, elections, new laws, job market and stock market all make news because they impact human life in various ways. All these topics and more encompass the subject of social studies. In order for prospective Michigan educators to teach social studies at the elementary school level, they must pass the MTTC Social Studies Elementary Exam. 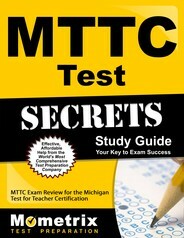 The MTTC Social Studies Elementary Test is purely multiple-choice, with 100 questions that must be answered within the time limit. The time limit depends on the format: two hours and 30 minutes for computer-based tests and four hours and 30 minutes for paper-based tests. Your goal is to achieve a score of 220, which is considered passing. The exam consists of six subareas: world history, U.S. and Michigan history, geography, political science, economics, and inquiry and public discourse. You will tested on concepts such as timelines, major events in world history, major U.S. developments and events, American Indian nations, major wars, economic growth during various eras, immigration patterns, major contributions from various individuals, geographic terms, five themes of geography, six elements of geography, analysis of maps, physical systems, climate, earth’s structure, ecosystems, natural resources, human-environment interactions, environmental change, land use and development, natural hazards and catastrophes, cultures, population, economic activity, characteristics of the Western and Eastern hemispheres, political science terms, functions of government, political systems, U.S. government, citizenship, civic engagement, role of federal government, branches of government, lawmaking processes, U.S. legal system, foreign and domestic policies, economic terms, supply and demand, personal finance, types of credit, macroeconomics, research methods and analysis, electronic technologies, interpretation of graphs and interdisciplinary perspectives. Practice makes perfect, right? This means the key to a perfect score is practice, and there’s no better way to do so than to take the MTTC Social Studies Elementary Practice Test. This study aid from the Mometrix Test Prep Team allows you to see the types of questions you can expect on the real test, easing test day anxiety and allowing you to enter the test room with confidence. 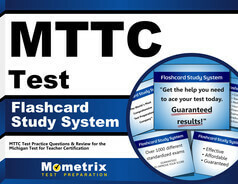 Improve your odds of getting an excellent score by reviewing another Mometrix offering – the MTTC Social Studies Elementary Test. If you’re looking for the most comprehensive study aid available, look no further than the study guide. Combined with the practice test, you‘ll be ready to ace the test and start your teaching career.